Featuring such timeless classics as My Boyfriend’s Back, Be My Baby, Respect, Proud Mary, and Me and Bobby McGee, Beehive nostalgically recalls the days of miniskirts, transistor radios and flower power. Told from the perspective of those who came of age in this enigmatic decade, they look back on a host of issues ranging from their first Beehive Dance to the challenges we faced as a nation - civil rights - women's rights - politics - all accomplished by an array of the most celebrated and memorable songs of the era. Appropriate for all audiences and groups. Beehive is presented through special arrangement with and all performance materials are supplied by Theatrical Rights Worldwide - 1180 Avenue of the Americas, Suite 540, New York, NY 10036. 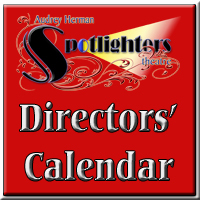 Opening Night Reception with Cast & Directors: Friday, Mar 29, 2019 - immediate after the show! Fun Night Friday: ALL Tickets just $19! Talk Back: Sun, Apr 14, 2019 Post Show discussion with cast & director following the matinee performance.